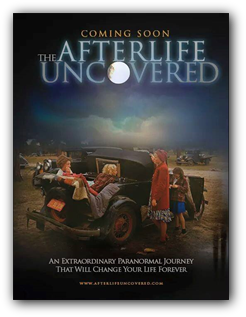 Lynne has been approached by a Team of Producers to become part of a New TV Series which is based on the new Documentary Film called ` Afterlife Uncovered` which will be available in Cinemas in 2016. This is a follow-up about the unsung heroes of the spirit world who bring comfort and hope to relatives of the deceased and who act as a direct conduit between this world and the next. Very interesting and exciting! Terms and Conditions & Private Policy page before entering into any booking or readings. 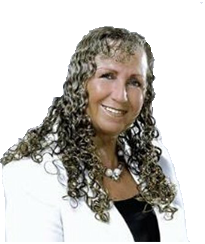 As well as her readings, Lynne is also a Paranormal Investigator and has carried out a number of investigations at various locations around the UK, and is also an esteemed member of The Best Psychic Directory and the UK Psychics Directory. If you're looking to find guidance in your everyday life, either to help you gain more focus in your career, or come to terms with losing someone close to you, you need a competent and highly respected Psychic that you can trust. You need to call upon the expertise and guidance of Lynne Caddick. Lynne, also known as Lynne Trance Medium, is a charismatic, warm and compassionate Psychic, who makes the people she connects with feel at ease. She is also renowned for her uncanny accuracy and over the past 30 years has helped people from all walks of life throughout the world. Lynne also specialises in Relationship Readings of all kinds. Lynne who is a Natural Born Psychic works as a Trance Medium who is able to communicate with spirit in a different way, thus being able to offer a clear connection with spirit. Please note all reading times are based on UK, GMT. Readings are conducted by Telephone, Skype or email. See Our Reading Page for details. Need an Urgent or Emergency Reading? Lynne is a big supporter of chartiable causes and none more than The Scoliosis UK Society. Another great cause that Lynne supports is' Give Hope to Evie'. Evie suffers from Mitochondrial disease. Click the link to find out more about Evie.